Many drivers often think they can handle getting behind the wheel after a couple of drinks, but the hard facts ultimately say otherwise. Statistics show that driving while intoxicated is not only a very real and potential danger to yourself, but also to your passengers, pedestrians, and the other drivers around you. 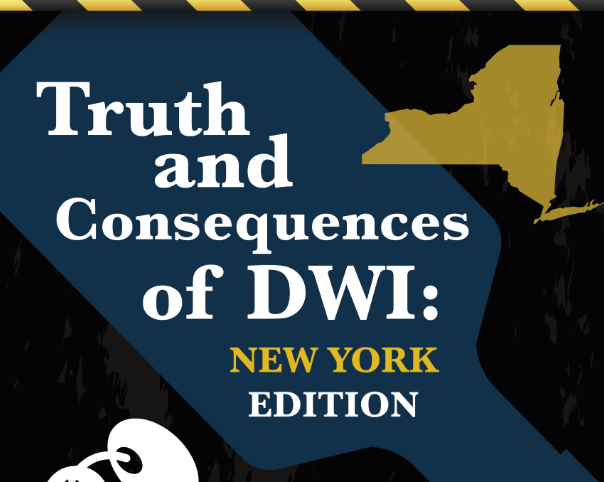 An average of 28 people die on the road in the U.S. every day as a result of intoxicated driving, and, in New York, 30% of traffic-related fatalities directly extend from drunk driving accidents. Not only is driving while impaired a life-threatening risk, but it also comes with some very hard consequences. A first-time DUI offense can include large fines, license revocation, and even jail time. Looking at this information from the cumulative perspective, intoxicated drivers cost the U.S. a grand total of $199 billion per year. Don’t become a statistic. In the infographic below, we’ll take a closer look at some eye-opening facts and consequences, as well as the financial impact it has on Americans today.